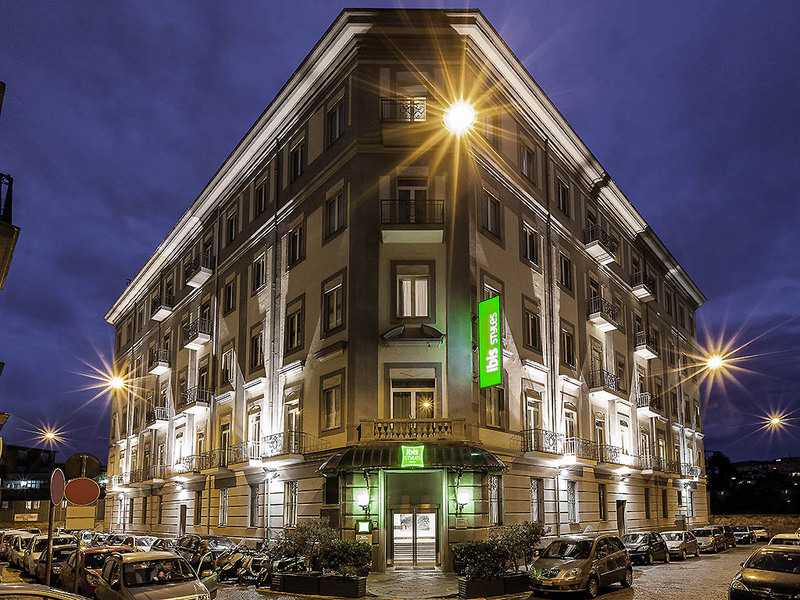 The ibis Styles Napoli Garibaldi hotel is located close to Napoli Centrale train station and Garibaldi metro station. The historic center of Naples, with its characteristic alleyways, the Galleria Umberto I, Piazza del Plebiscito and the Napoli Sotterrane a underground tour, is within easy walking distance. Ideally located for visiting the surrounding areas as well (Sorrento, Pompeii, Herculaneum). Paying partner-operated parking garage near to the hotel. Bar open from 5pm to midnight, Monday to Saturday. The ibis Styles Napoli Garibaldi hotel is ideally located for exploring the historic center and soaking up its lively atmosphere. The islands of Ischia and Capri are also less than an hour away by hydrofoil. Pets allowed for a supplement. Online check-in and fast check-out service, Web Corner and children's play area in the lobby. Connect to the hotel's WIFI and you can read and download over 4600 magazines free of charge. STAZIONE CENTRALE : R2 STAZIONE CENT. There are 88 soundproofed and air-conditioned rooms, with minibar, satellite TV, direct-line telephone, wired high-speed Internet connection and safe. Bar open round-the-clock every day of the week.